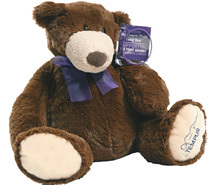 "We are so excited to have Tempur-Pedic join us in the fight against pancreatic cancer. Their national campaign will create hope and together, we will raise awareness and important funds to support research." 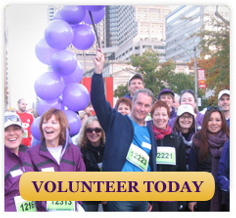 Building grassroots support is critical to raising the profile and the necessary funds to fight pancreatic cancer. Those affected by this disease need to unite around this cause and become a driving force. Some cancers are constantly in the spotlight like breast, colon and prostate. Little is known about the 4th leading cause of cancer death in North America. In fact, you might even refer to it as the underdog of cancers - it is under funded, under recognized and misunderstood. While most other cancers have seen a rise in survival rates, the rate for pancreatic cancer has stayed unchanged in 40 years. Those cancers [that] have the most research funding have better outcomes and currently pancreatic cancer receives less than 1% of Canada’s cancer research budget. One key reason why pancreatic cancer funding has lagged behind other major cancers is the lack of survivors, including celebrity spokespeople and major corporations, to advocate for the cause. In March of 2008, Professor Randy Pausch, whose "Last Lecture" became a worldwide phenomenon, testified before congress on the desperate need for funding for pancreatic cancer research, pointing out that "We don't have advocates for this disease because they don't live long enough." In 2009, Patrick Swayze passed away from pancreatic cancer and his courageous battle helped raise the profile of this deadly disease. He challenged Congress to "Stand up to Cancer" in his passionate plea - "I'm Battling Cancer. How About Some Help, Congress?" Consider becoming a champion for this cause. Your support can help change the course of this disease by helping meet our mission: advocacy, education, patient support and advancing research.